Over $250K new upgrades! 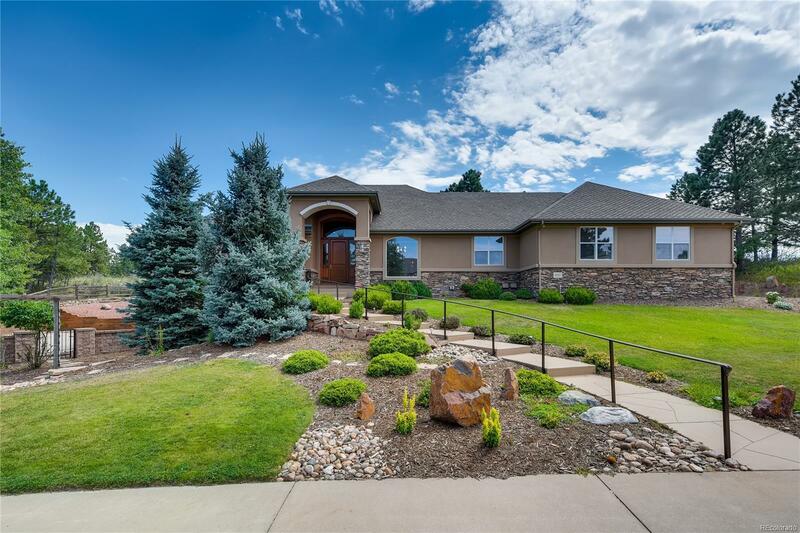 Gourmet kitchen w/new appliances, slab granite w/ full marble tile backsplash, lg island w/prep sink, & work station, opens to the great rm w/fireplace,15â ceilings & âwall of windowsâ. The laundry/mud rm has a plethoria of cabinets & storage. The executive office w/ builtins & French doors is gorgeous!. The main flr mstr retreat w/ fireplace has access to new and enlarged TREX Premium pvt back deck. The mstr bath is an oasis w/ jetted tub, custom granite dual sinks, oversized steam shower & fireplace! Oversized custom mstr closet complete w/ closet organizers, it is a delight! On the lower level, there is rm to entertain around the fireplace, gather around the bar & wine room or enjoy a movie in the theater! 3 spacious bedrms, all ensuite complete this level. The door from this level provides easy access to sports court! Spacious 4 car garage. The pvt 1.23 acres is professionally landscaped w/ lg water feature, mature tress & flowering bulbs.